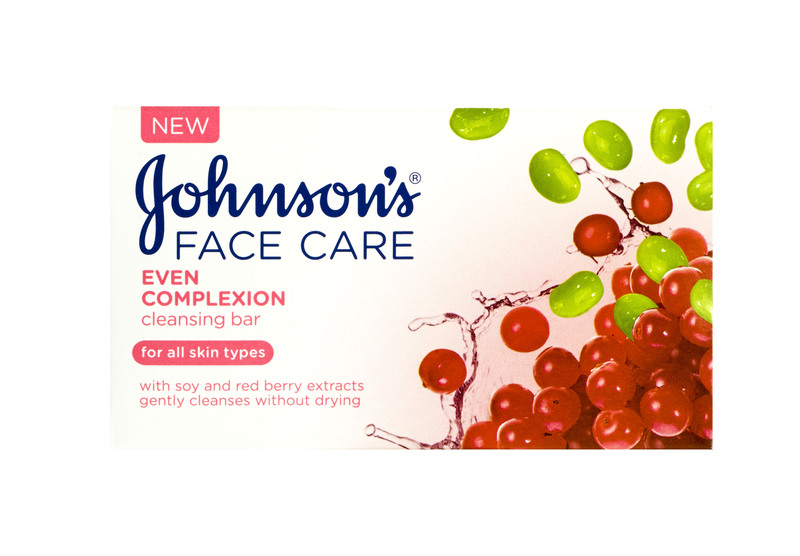 Johnson's Even Complexion cleansing bar contains skin loving soy and red berry extracts. It helps enhance skin radiance, smoothness and brightness. Use morning and evening. Lather on moistened hands and massage over damp face and neck, and rinse thoroughly. For external use only. Avoid contact with eyes. Soy extract, well known for its epigmentation effects, helps improve the appearance of skin blemishes, spots and dark marks.